This is my a/g Henry J gasser just built this last year. 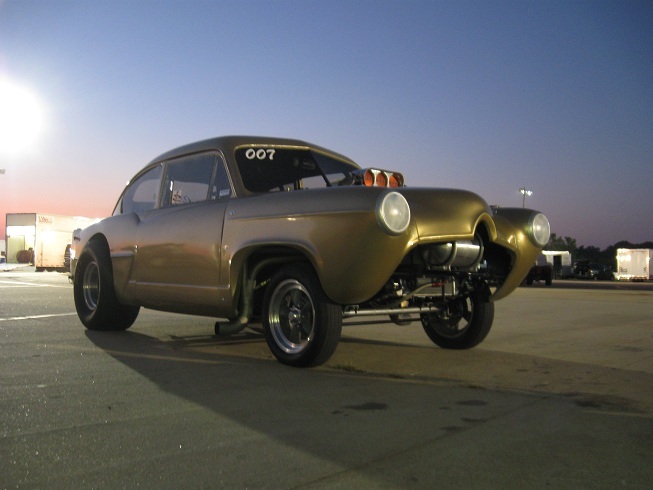 As of now it has 8 passes on it with the Central State Gasser Association in Oklahoma. So far a best tune up lap of 9.90 136. 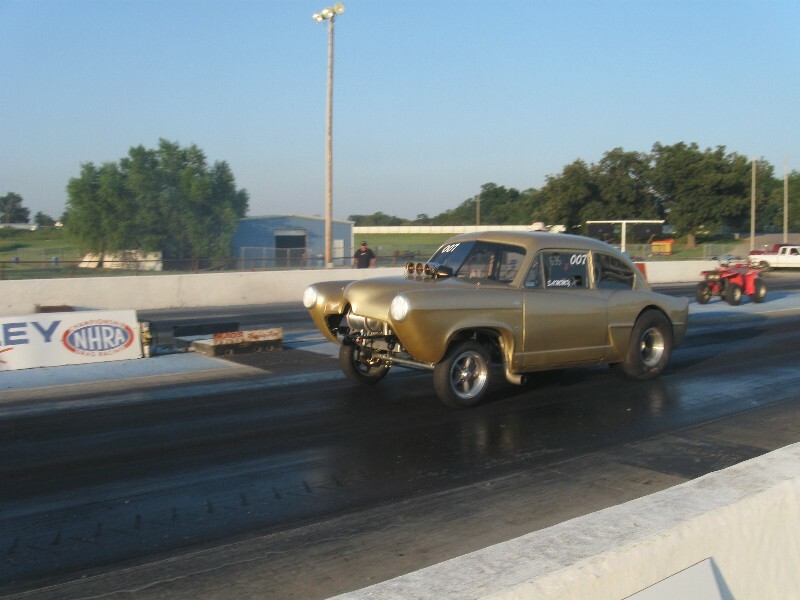 I own Woodard Racing & Hot Rods in Mustang OK. We specialize in gassers. 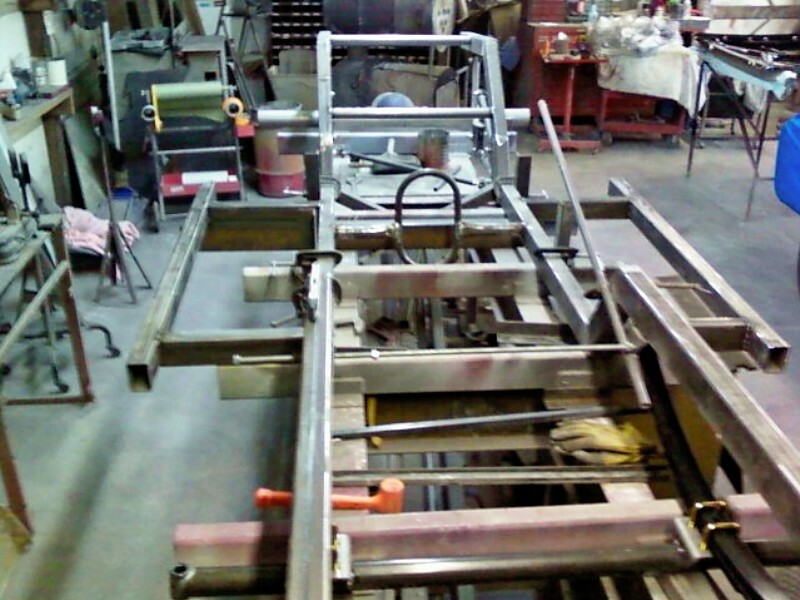 I built the chassis and cage for it with 2x3 rectangular tubing and 1 5/8 dom cage material, it is certified to 7.50 it has a 101 inch wb, weighs 2740 lbs with a fat driver, me. 9 inch Ford on a set of coil overs and a 4 link with a anti roll set up onit for stability. A speedway straight axle set up with gm disc brakes on it. 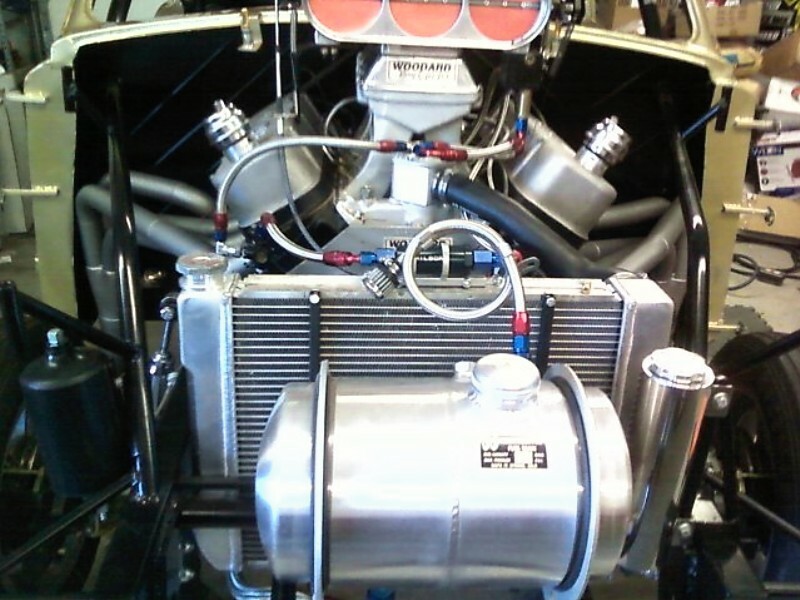 Engine is a 509 inch roller BBC with alcohol fuel injection via a Enderle bird catcher set up. Hand built headers. Steel body with Scott rods glass doors fenders and hood...(very nice job Scott). 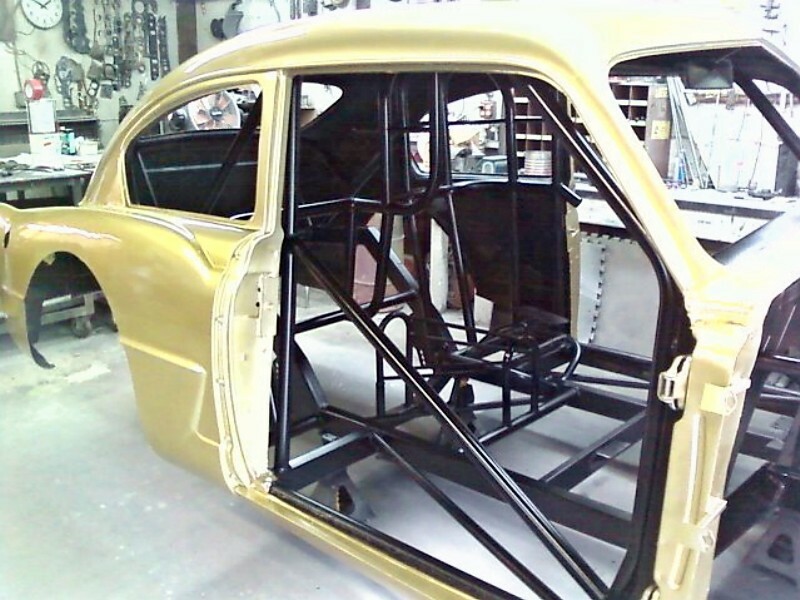 Lexan and Gold HOK Flake paint. Took 8 months to build on my time off. 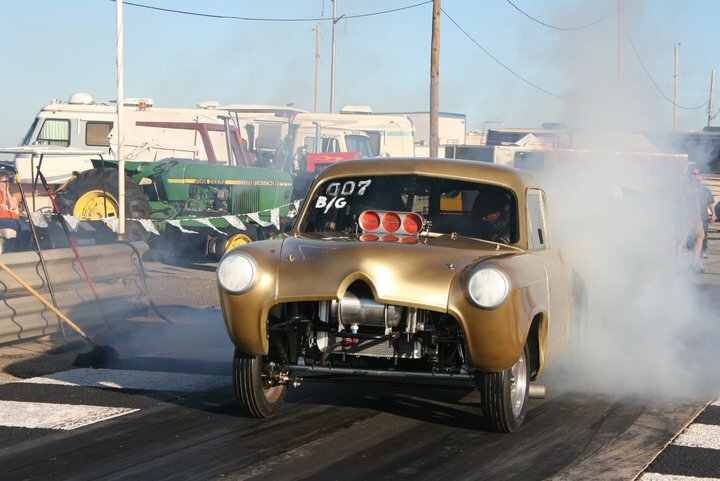 The car came from Pratt Kansas and was an old gasser in the 60s that had been sitting for many yrs. My reasoning for this build was a final race car for me. 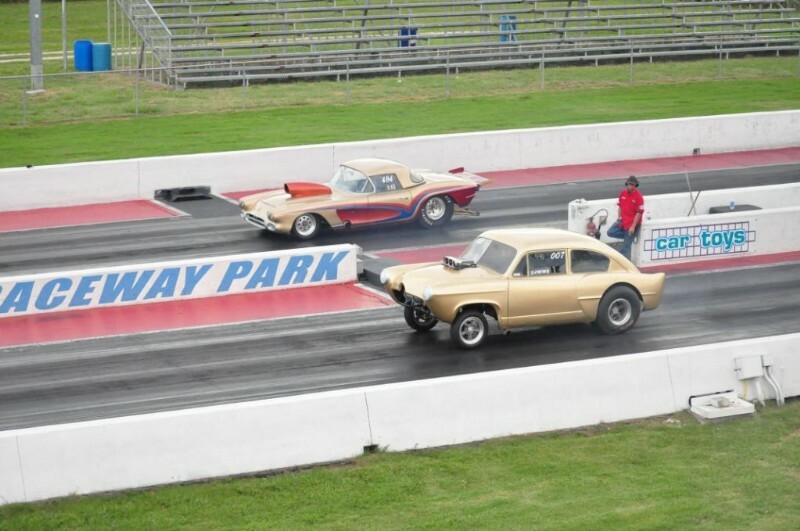 The first car I ever had was a Henry J in 1984 built by Don Grotheer for me with a 426 max wedge in it. Drove it till 1966 and have always wanted another, so here we are. My last race car and one to keep and have fun with.